The revelation I got was this: Go and talk with the leaders in Jerusalem that believe and are teaching that the ONLY way that non-Jews can be accepted equally under the covenant is if they are circumcised . . . they can only be accepted if they become Jewish. In fact, it was people like this that pretended to be brothers that snuck into our own group to spy out the freedoms we have in the Messiah Yeshua. Once in, they even tried to get my non-Jewish companion Titus to become circumcised. The reasoned, attacked, used social media . . . I live in trusting faithfulness in the Messiah Yeshua so that I might live in direct relationship with God. 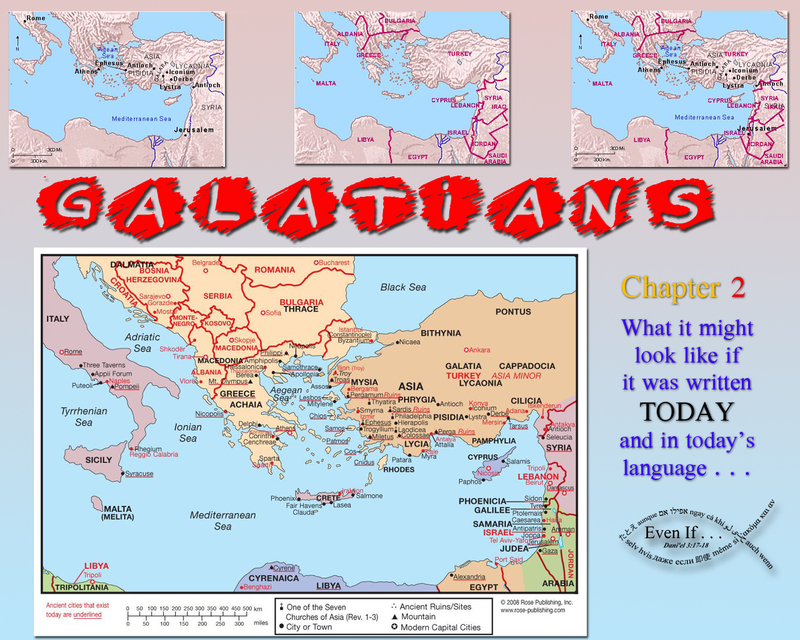 This entry was posted in Verses and tagged Galatians Chapter 2, today's language. Bookmark the permalink.